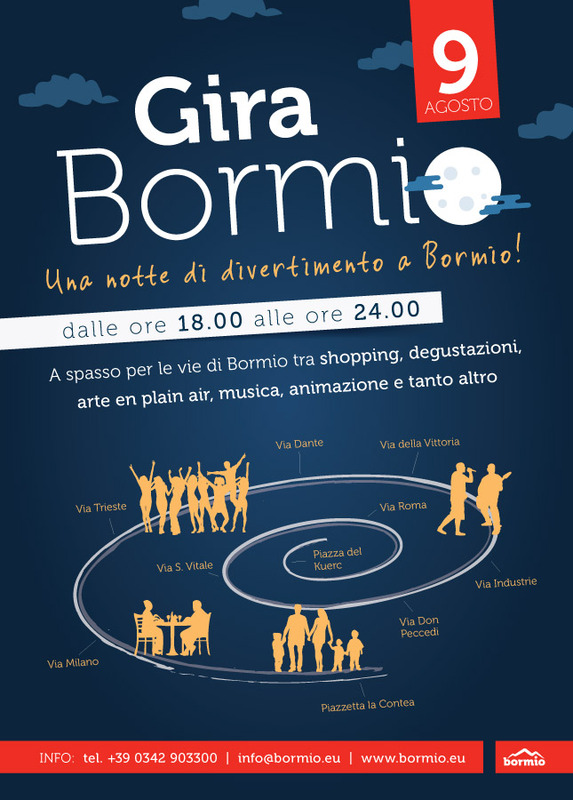 Tuesday 9th of August, from 6pm to 12 pm, everybody can live a special “White night” with lots of amusements, taking part at the event AROUND BORMIO. Walking around the streets of Bormio, shopping, tastings and music are just parts of the many events and activities of the rich program both for adults and kids. You’ll be among lights, sounds and colours of the many shows, dj stes and live music, karaoke and entertainment for adults and kids. You won’t miss also street artists, stands, tastings of the typical products of Valtellina, the wheel of fortune and many Others. During the whole event, the shops will be opened guaranteeing a full shopping night.